The U.S. Senate passed national energy reform legislation this week for the first time in nearly a decade. The Energy Policy Modernization Act of 2015 includes amendments were offered up by Senators Joe Manchin and Shelley Moore-Capito of West Virginia that aim to help coal be a competitive energy source into the future. They include provisions that instruct the Department of Energy to continue development of clean coal technologies, as well as provisions that authorize funding for that research. Designate Clean Coal Technologies as an Official DOE Fossil Energy Priority: Included in the base bill, this provision would amend the Energy Policy Act and list carbon capture, use and storage (CCUS) as a specific objective for DOE and the Office of Fossil Energy. This measure would work to maintain clean coal technologies as a clear part of the nation’s energy mix and lower the cost of reducing carbon emissions. Use Pre-Authorized Funding for Clean Coal Innovation: Included in the base bill, this provision would require the DOE to study the effectiveness of recommended changes to the agency’s loan program, which authorized $8 billion in 2008, but has yet to use the funds for carbon and cost reducing fossil energy projects. Prioritize Clean Coal Research and Development: This amendment would put a premium on a path forward for coal by establishing a comprehensive program dedicated to clean coal technological innovation through research, development, and implementation. The program would work to preserve low-cost electricity, diversify our nation’s energy supply by keeping coal competitive with other low-carbon energy sources, and speed up efforts to develop carbon emission-reducing technologies. Authorize Coal Technology Program Budget: This amendment adds $22 million to the already authorized budget for the coal technology program. The additional $22 million would support preliminary engineering leading to large-scale pilot projects with processes resulting in net-negative CO2 emissions from production and consumption of the end products, employing a combination of coal and biomass feedstocks with carbon capture and storage. Oil and Gas Production and Distribution Reform Act: A major component of the Energy Policy Modernization Act, this legislation offered by Senator Capito provides greater certainty around the timeframe for natural gas pipeline approvals. This provision would streamline the application process so pipelines can be constructed quickly and meet our energy transportation needs. It would also establish the Federal Energy Regulatory Commission (FERC) as the lead agency for the permitting process, helping to address interagency disputes that lead to project delays. Target Practice and Marksmanship Training Support Act: This legislation encourages states to develop additional shooting ranges by making more funds available to state fish and wildlife agencies through the Pittman-Robertson Act, a federal aid program that is financed by excise taxes on firearms. Heitkamp-Capito Amendment #3174: DOE Price Stabilization Contract Report: Calls for the U.S. Department of Energy’s (DOE) continued focus and investment in research, development, deployment, and implementation of Carbon Capture Utilization and Storage (CCUS) technologies. The amendment would require DOE to produce a report to congress on the costs and benefits of implementing a price stabilization contract program that would create more certainty and encourage investment in CCUS, technology that would ensure coal remains part of the nation’s energy portfolio. Capito Amendment #3063: Ethane Study Requirement for Utica, Marcellus and Rogersville Shale: Requires DOE and U.S. Department of Commerce to study the feasibility of establishing an ethane storage and distribution hub in the Utica-Marcellus-Rogersville Shale region. The study will identify locations, economic feasibility and benefits, storage capacity capabilities, infrastructure needs and other markets and trading hubs. It will also include the potential energy security benefits. The bill would also permanently reauthorize the Land and Water Conservation Fund (LWCF). The fund helps states and local governments acquire and maintain land for public use. The bill specifies that 1.5 percent of Land Water Conservation Fund dollars be used to establish and expand recreational access to national public lands. In a press release Senator Manchin said those funds could help maintain and expand access to area in West Virginia like the Gauley River and battlefields around Harpers Ferry. The bill moves next to the House for consideration. 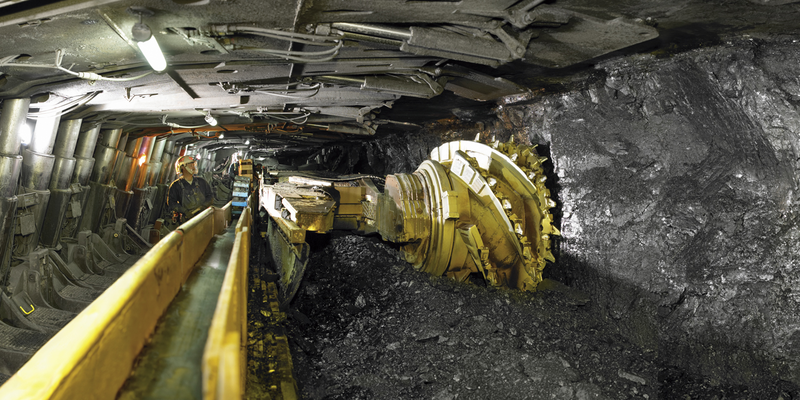 Peabody Energy, the nation's largest coal miner, is seeking bankruptcy protection. The filing comes less than three months after another from Arch Coal, the country's second-largest miner, which followed bankruptcy filings from Alpha Natural Resources. A new report indicates that West Virginia is in an economic recession. The Register-Herald reports that the Mountain State Business Index has found that West Virginia has seen deterioration in economic activities since the spring of 2015. The economic recession has been largely a result of the decline in the coal industry. The index found that in March there was a 3.1 percent month-to-month decline in coal production. It also found that there were month-to-month gains registered for natural gas production. $65.8 million is now available to help people who are struggling in coal fields throughout the U.S. $35 million of that will be distributed throughout Appalachia, where layoffs in the coal industry have been especially hard on communities.